This Tag Heuer came in recently and had me scratching my head as to what was actually causing the stopping fault with it! The watch is powered by the ETA 963.116 quartz movement and the usual problem with these movements when they get to this age is either dirt stopping the train or the circuit or coil is dead. However, this one had been fitted with a NOS circuit/coil assembly but still wasn’t running correctly. It arrived from the relumers hence there were no hands fitted. 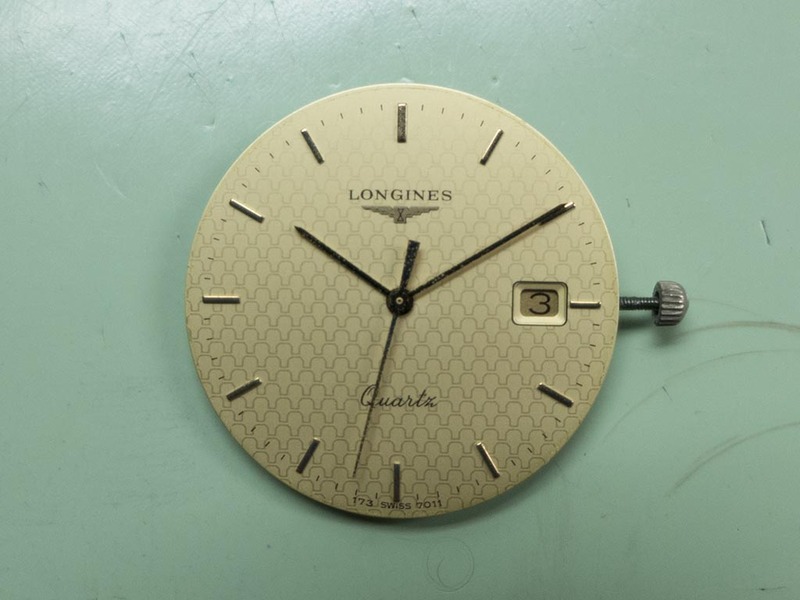 This Longines dress watch belongs to the father of chap who sent it in. 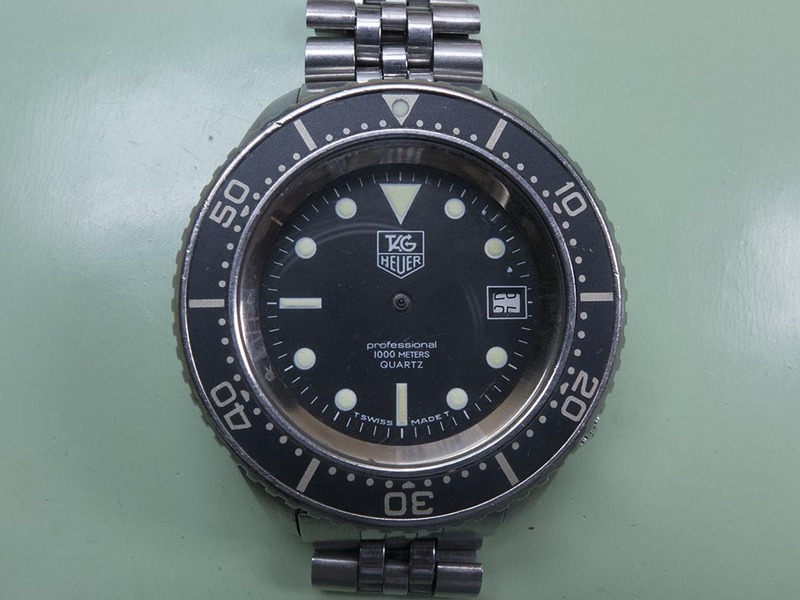 Many years ago it was taken for a new battery to be fitted only to be told the movement was kaput and it needed a new one. It’s quite an attractive little watch with its gold dial, calendar wheel and baton hands.